In a country where lunches are hours-long, white-table-cloth affairs, the sandwich has been relegated to the snack menu. 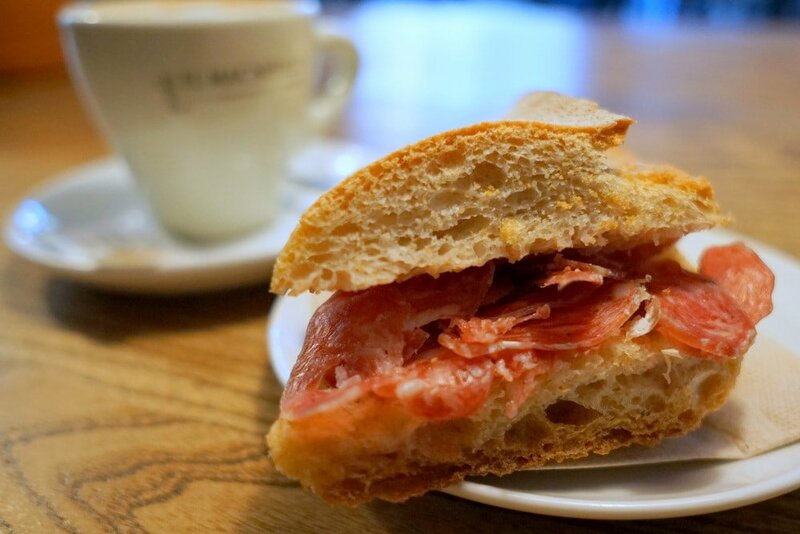 Freed from the constraints of a main meal, sandwiches in Spain have evolved to many forms. It never ceases to amaze me the things that are slapped or spread between two pieces of bread here! Montadito: a small two-bite sandwich on an itsy bitsy baguette. Pulga or Pulgita: just slightly larger than a montadito and usually served as a tapa in bars. 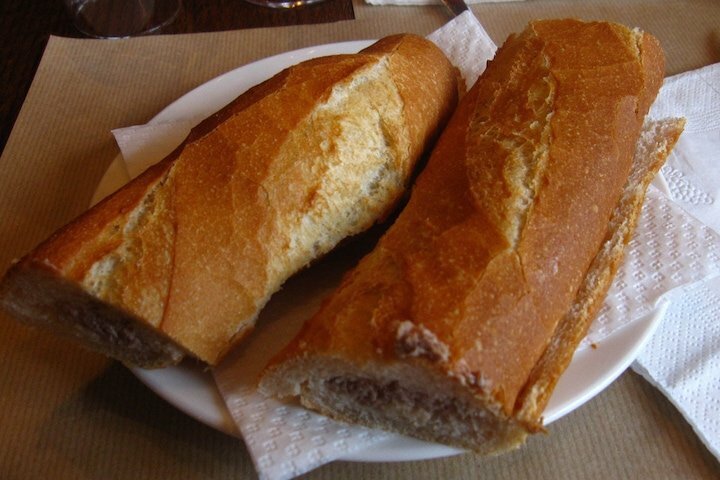 Bocadillo: A sandwich made using “real” bread, such as baguettes or rustic loaves. These are also sometimes referred to as bocatas. Montado: Half of a bocadillo, usually larger than either a pulga or a montadito. Sandwich: (pronounced san-WEECH): Any sandwich made using pan de molde, or bread from a mold. This is the square-shaped loaf of sliced bread (think Wonder Bread) that you buy at the grocery store. Who knew stewed blood could make such a tasty sandwich filling? When people say the Spanish use every part of a pig, they really do mean every part, including, in this case, the blood. 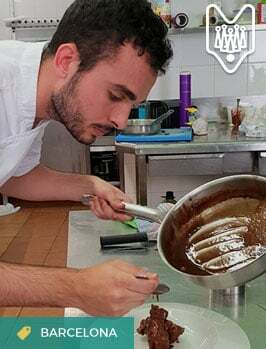 While the recipe for Spanish blood sausage, known as morcilla, varies by region, the most striking blood sandwiches come from León. 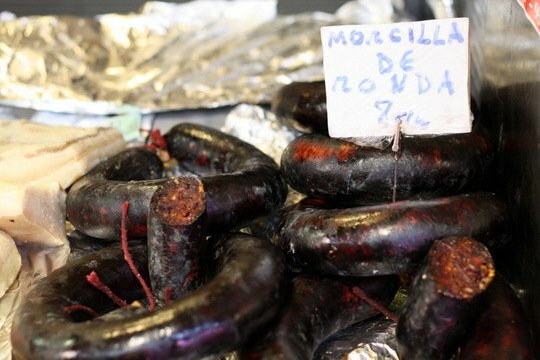 In this northern Spanish region, morcilla is not cured in sausage casings like in many other parts of the country (most famously in Burgos). Here the coagulated pig blood is sautéed with onion and salt until it forms a paste. 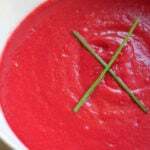 A thick layer of this deep red paste is then spread over a sliced baguette, a few caramelized onions are sprinkled over top and ya esta! Snack is served. Squid Sandwich- a Madrid staple! This is perhaps the most famous sandwich in Madrid. 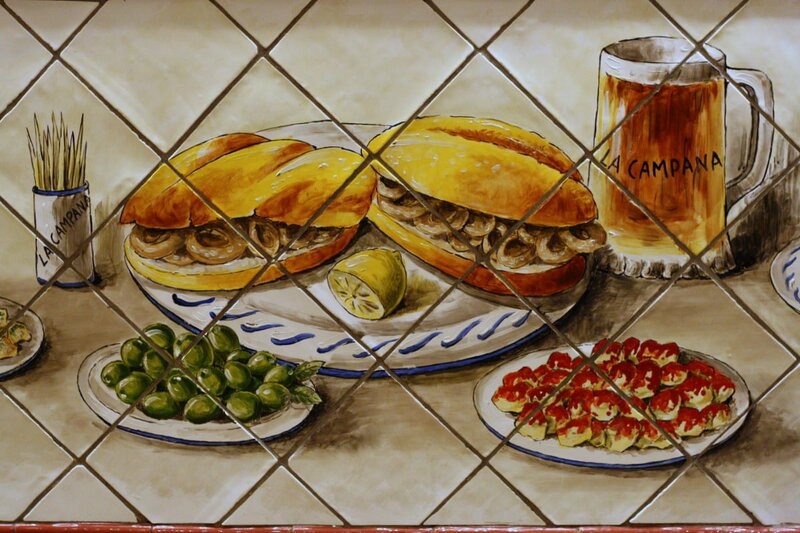 Bars dedicated to making bocadillos de calamares line the streets surrounding the city’s main square, Plaza Mayor. And while it may look a bit odd it is absolutely worth trying! The sandwich itself is quite simple. Breaded and fried rings of squid are stuffed into a baguette. Some bars serve it with a side of garlicky mayonnaise or a paprika-spiced tomato sauce. 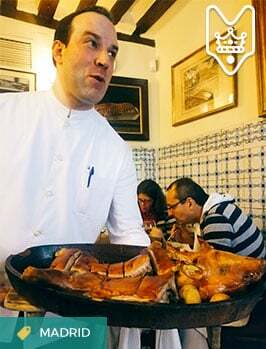 It is almost always washed down with a caña of Mahou, a small glass of the local beer. 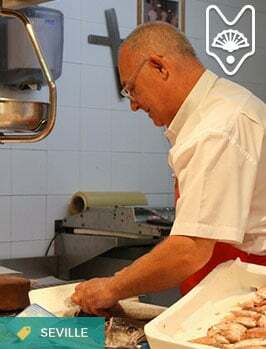 Try it: Taste the best bocadillo de calamares in Madrid on a Madrid food tour. This may not be the most popular sandwich in Spain (many Spaniards will swear it doesn’t exist), but its crazy combo of flavors makes it one of the most notorious for those in the know, especially popular among elementary school kids. White bread is slathered with Nocilla, the Spanish version of the Nutella chocolate-hazelnut spread, and then topped with thin slices of chorizo, a paprika and garlic spiced pork sausage. It may sound horrible, but somehow the smokey paprika in the salty sausage jives with the sweet, creamy Nocilla! 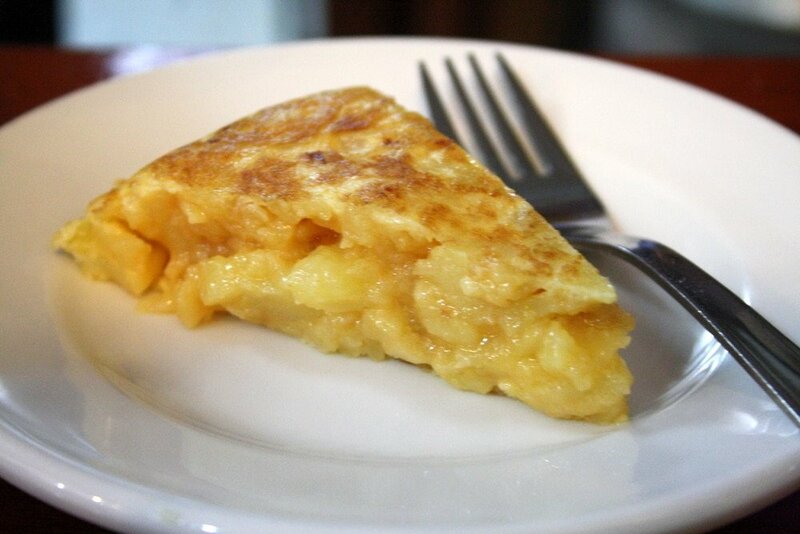 A golden slice of tortilla española, one of Spain’s most popular sandwich fillings. Beige on beige on beige. That is a tortilla de patatas sandwich in Spain. Although it may not look very exciting, this eggy potatoey goodness is anything but short on flavor. The key to this sandwich is the potato omelet. Perhaps one of the country’s most popular dishes, Spanish omelet is made from slowly fried potatoes and onions that have been mixed with beaten eggs. This mixture is then quickly seared to create a plate-sized puck that is golden brown on the outside and still juicy on the inside. Take a large slice of the yellow tortilla española and tuck it into a rustic baguette for a sandwich that is surprisingly fantastic! No sauces or garnishes necessary. Paté sandwich, a Spanish child’s PB&J! What is surprising about this sandwich is not so much its contents, but its consumer. Don’t look for this sandwich at elegant restaurants or tapas bars, instead try the local elementary school. Paté sandwiches are a snack time staple for Spanish kids. Whether its foie gras (goose liver pate), pork liver pate or chicken pate, when it’s spread between two square pieces of white bread it’s the envy of all eight year olds. In an informal survey of my preschool class today, half of respondents named pate sandwiches as their favorite type of sandwich (the other half went with Nocilla). Just be sure to cut off the crust. The Serranito may just be the most stacked sandwich in all of Spain. The creators of this sandwich basically took their five favorite things from the Spanish diet and stuffed them all between bread to make one stellar sandwich. The Serranito is packed with a filet of Iberian pork, slices of cured serrano ham, an egg fried sunny side up in olive oil, a roasted green pepper, a bit of ripe red tomato and hint of alioli (garlic mayonnaise). Sadly, you can only find this flavor-packed sandwich in southern Spain as it is a specialty of the Andalusian capital, Seville. 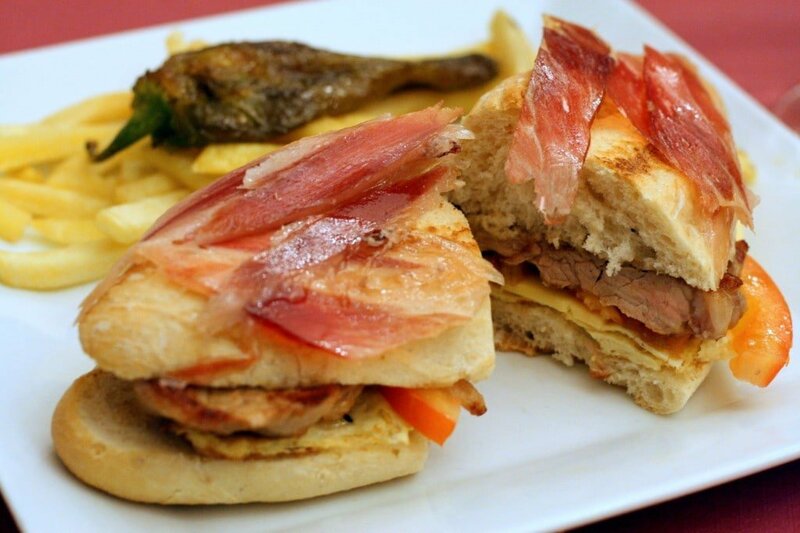 See 5 more delicious pork sandwiches from Seville here! The sandwich stuffed with fuet is far more filled than most! 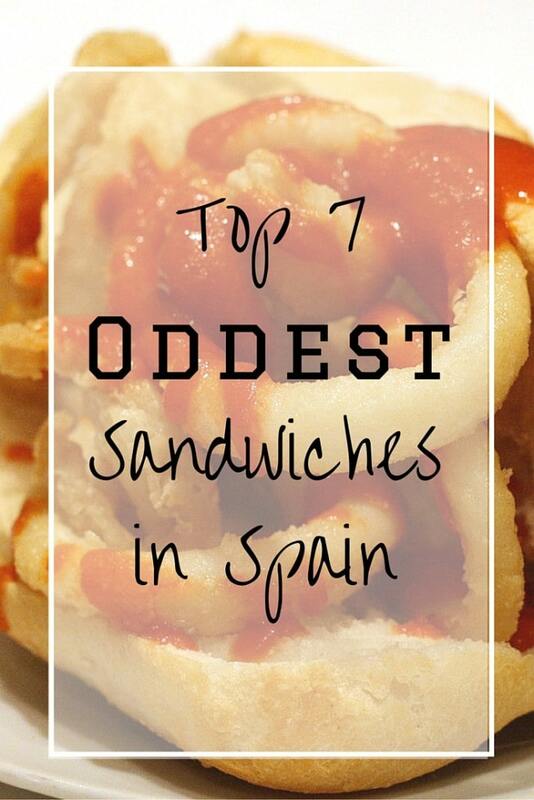 All of these curious sandwiches aside, hands down the most popular sandwich in Spain is one that is almost not a sandwich at all. The typical Spanish sandwich is often a giant, foot-long piece of thick baguette cut in half with a slight whisper of meat inside. 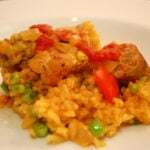 One thin slice of cured ham or three shaved medallions of chorizo are more often than not the only fillings in a Spanish sandwich. The saving grace of these scantily stuffed “sandwiches” (I’d argue they are often just bread dreaming of one day becoming a sandwich), is the bread. 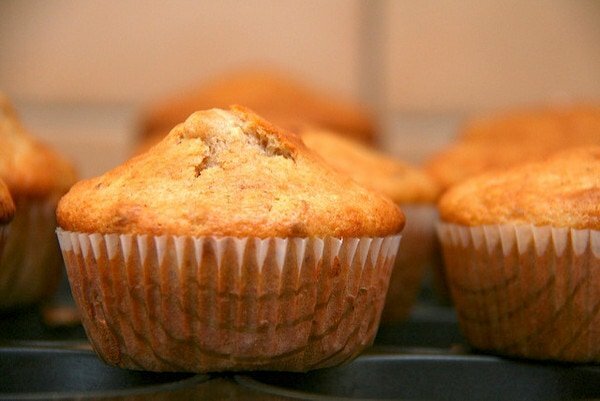 It is almost always fresh baked that morning, crunchy on the outside and fluffy on the inside! Somehow, it just works! What are your favorite Spanish sandwiches? #3 sounds crazy but oh so good! Must try it some time. And #4 is probably my favorite food in the world. I’ve finally found a place in Sydney that does great bocadillos de tortilla. I’m in heaven! I am a huge bocadillo fan (my first job was in a deli!). My señora in Valladolid would send me to class every morning with a cheese, tomato and tortilla sub for breakfast, and I somehow lost weight that summer! If you are into high fat low carbs .. then celery stuffed with sobrasada is just the thing. Sobrasada is a fatty pate like mix…which is often gluten free … even better, if you want to kéep your brain working well. 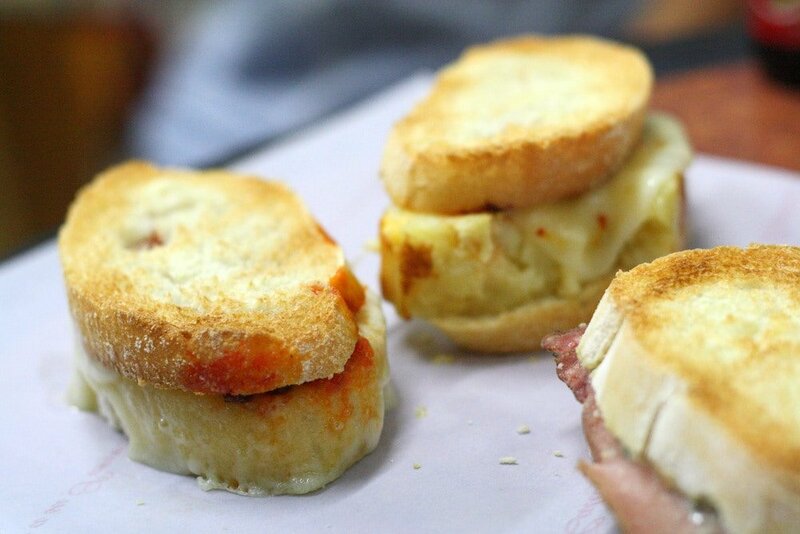 Pingback: Serranito Bocadillo Recipe – All About This Classic Spanish Sandwich - An Insider's Spain Travel Blog & Spain Food Blog!